Audi A4 Saloon Boot Space, Size, Seats | What Car? Getting in and out of the front seats is easy, thanks to wide door apertures and low sills. Once inside you’ll find plenty of head, leg and elbow room, and are unlikely to feel cramped unless you’re extremely tall. You get plenty of interior storage options, too, including a tray under the adjustable armrest, two cupholders in front of the gearlever and a sizeable door bin with a recess big enough to hold a 1.0-litre bottle of water. 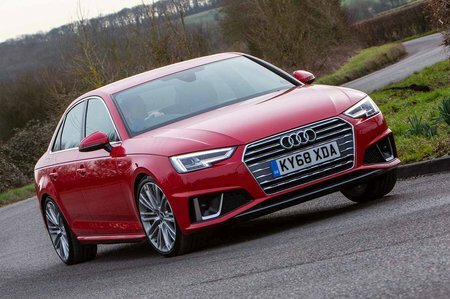 The Audi A4 falls way short on rear space compared to a VW Passat or Skoda Superb, and if your focus is on the premium marques, it doesn’t have quite as much rear seat space as the rival BMW 3 Series, either. But the difference to the BMW is small, and there’s enough room in the A4 to accommodate a couple of six-footers reasonably well. Access is pretty decent, too, thanks to wide-opening doors and low sills. That said, life isn't as comfortable for a central rear passenger because there's a large transmission tunnel to straddle, but it's the same story in most rivals. Storage options come in the form of door bins that will each swallow a 1.0-litre bottle of water. However, you’ll need to add the optional, but reasonably priced, Storage Pack if you want nets on the backs of the front seats and cupholders in the central armrest. Unlike many of its rivals, the A4 comes with split-folding rear seats as standard – even if you opt for entry-level SE trim. Better still, the seatbacks divide in a convenient 40/20/40 layout, as opposed to the more common 60/40 alternative. The front passenger seat is height adjustable, and electric seats are available as an option on all versions. Adjustable lumbar support is an option on the SE but comes as standard on Sport and above. The A4’s boot is par for the course in this class. The saloon opening restricts access just as much as it does in most rivals, but once inside, you’ll find a load bay almost identical in size to the BMW 3 Series’ but substantially squarer. 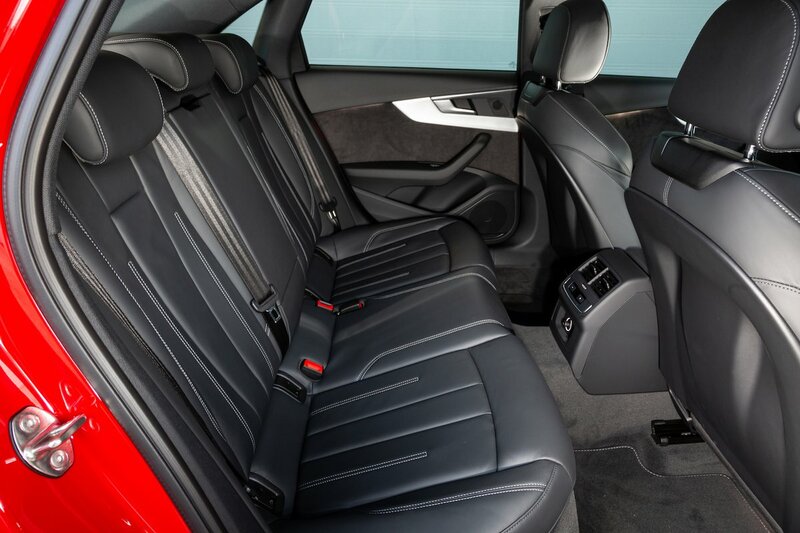 You’ll easily be able to slot in a couple of sets of golf clubs or a big weekly shop without dropping the rear seats. 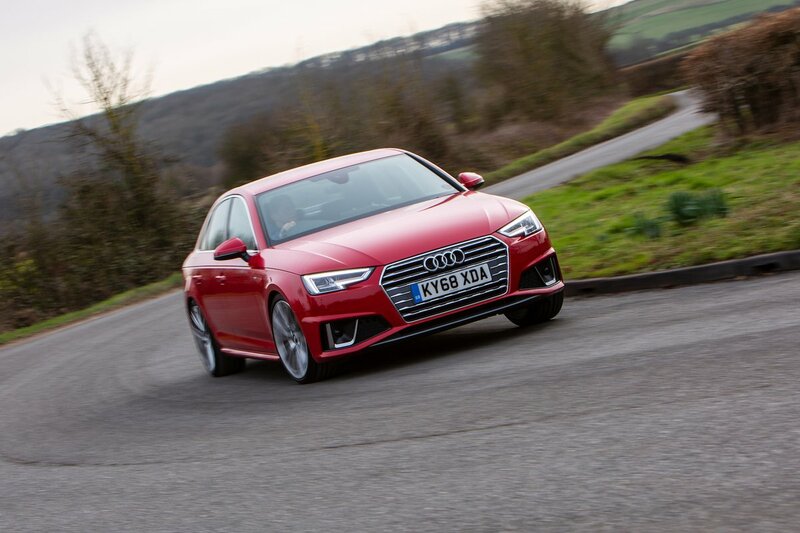 The optional Storage Pack adds bag hooks and a luggage net to boost practicality, but unlike some of the A4’s rivals – including the XE – there’s no option of an electric bootlid.